In part one we talked about the importance of DMC's knowing the sustainability of their suppliers. 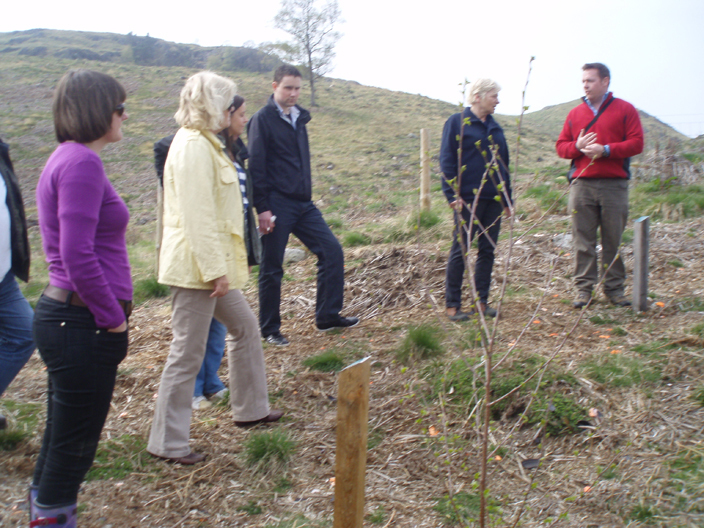 Part 2 detailed 5 ways to make your incentive greener without costing you money and in Part 3, we've combined both of these elements to bring you examples of what some of Hello Scotland's suppliers are doing for the green tourism and events. The following tourism suppliers are all part of the Going Green with Hello Scheme. Local produce from the estate including organic and free range chicken and eggs, wild boar, lamb – some produce only travels 800m to reach the plate! Tree planting is a natural occurrence on an Estate where there are several hundred acres of trees, not to mention the abundance of conservation and wildlife habitats that are managed, like bees for honey etc. Allan's renew their fleet constantly meaning they have the best up to date engine technology and a fleet that produces zero emissions! Allan’s were one of the first coaching companies to do this. Groups will always travel green! The Dalmahoy’s golf course has been awarded a certification of excellence from Audobon for the environmental work on their golf course. This includes wild life habitat, water conservation, chemical reduction and safety, outreach and education. Plus, over the last 10 years approximately 15,000 trees have been planted on the hotel grounds! Marlin's Wynd use locally sourced produce in their seasonal menus, friendly lighting where possible and candle stubbs are always recycled (and they have a lot of candles!). All waste is separated for recycling and they are moving towards a paperless office. - Locally sourced food - Recycled paper products - An available laptop to calculate each atendees carbon footprint - Option to offset carbon emissions by supporting the Tree Amigos project with Trees for Scotland. Part 2 of this 'greener incentive travel' blog series focuses on how you can make reduce the environmental impact of any incentive program whilst maintaining high standards and more importantly, without it costing you more! 5 ways to make your incentive greener - without costing you money! Are your coach companies using low emission / green vehicles? Could the group walk or cycle between some locations and could you build this in as part of the experience? Are chauffeured vehicles electric or low emissions? Could the group take some public transport, like the train? These are all questions travel planners should ask themselves when planning incentive trips. Give back to the destination your group are visiting by building a green or 'give back' activity into their program. 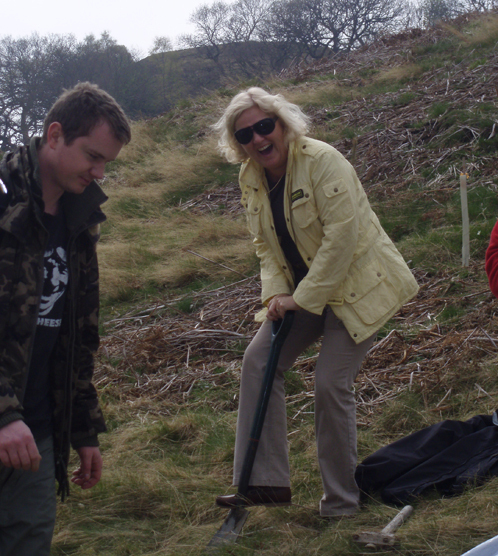 For example, with Hello Scotland you can choose carbon neutral tree planting, or volunteering with the Linlithgow Union Canal Society. You can cut down on the amount of paper you use for each incentive group by using a mobile app, or even a simple PDF download for any itinerary information you need to give participants. PDF's for mobile devices are easy to create participants are less likely to lose their mobile/cell phone than they are a piece of paper! App development would take more effort to complete, but once it's created it can be amended for each group...and would look uber slick to end clients and participants! We touched on this in part one when we talked about 5 questions you should ask your DMC. As your DMC will handle most of the local suppliers, it's important that you trust them and believe they will act responsibly on your behalf. Here's an example of how Hello help's clients choose responsible suppliers: Going Green with Hello. A simple, easy step but not always one that's remembered. Don't assume that everything you'll be dining on will be local produce as much of the time it may not be! If you can reduce the 'food miles' of your groups lunches and dinners, you could be reducing your impact on the local environment and leaving a positive one on the local economy. Scotland is lucky enough to have one of the best natural larders in the world so make sure you take advantage of it! Since industry stopped using the canals in favor of rail transport the new value of the 200 mile network hasn’t always been recognized. Scotland’s canals are a vital source for economic impact from tourism & leisure, environmental improvements and great social benefits. On WTM World Responsible Tourism Day we wanted to show our commitment to responsible and sustainable tourism in Scotland. 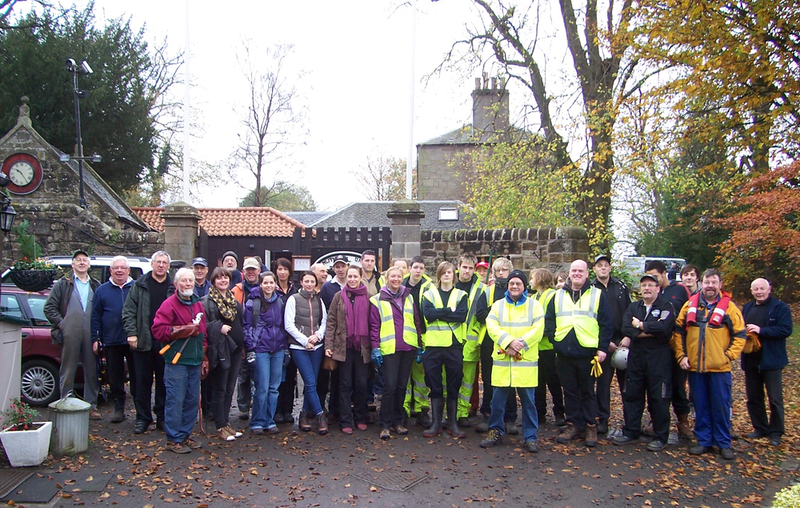 As a DMC we, along with the suppliers who joined us, are responsible for bringing thousands of individuals to Scotland each year, so it’s vital that we understand the impact this can have and the responsibility we have to Scottish countryside, the local communities and the environment. After a quick lesson about the canal’s layout and the objectives of the day, we divided into teams and headed off for the spot on the canal that we’d been allocated. As you might know, I’m pregnant, so I took on a supervisory role during the day! We cleared foliage from the sides of the canal, to stop it overgrowing into the canal water. Similarly, we cleared back the foliage on the tow-path so that it wouldn’t interrupt the travels of the many people who cycle, walk and run along the canal. It was surprising how much we got done in a short period of time, however when Linton from British Waterways Scotland told us they had a backlog of work that would last 25 years we realized the vastness of the continuous work and the dedication of the volunteers! We decided (as did some of our suppliers) that we’d be back again next year to help out and keep the Union Canal looking beautiful! P.S. This will be my last green post for a while as I’m now on maternity leave. Lisa will be wearing the green blog hat for me whilst I’m gone! Ronnie Bamberry (Kingsfield Events); Kerry McCabe & Bede McCabe (Winton House); Bryan Hogg (STGA Guide); Krystle Ste-Marie (Glasgow Marriott Hotel); and Louise Rattray (The Old Course Hotel). Get involved with World Responsible Tourism Day 2011! In 2010, we joined other tourism organizations in promoting responsible tourism through a variety of activities. As a DMC, we feel we are in a position where we can communicate to a large number of people within the industry. From our clients – agents, incentive houses and corporate clients who are organizing travel – to our local tourism providers in Scotland, like hotels, transportation and activity providers. We ran a photo campaign that asked clients and suppliers to share images of their own responsible tourism acts. 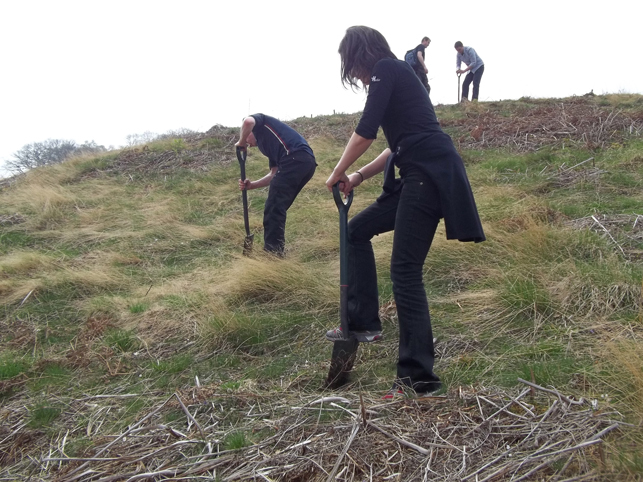 For each 10 images we received, we pledged to plant a tree at a carbon neutral sustainable forest here in Scotland – which we did, with 10 of our Going Green with Hello champion suppliers on a green engagement day! In 2010 we focused on the sustainability of Scotland’s future, but for this year we want to focus on an act that will improve Scotland right now, today, for visitors and for the local community. When they were built almost 200 years ago, Scotland’s canals where a thriving transportation network at the heart of the local economy. In the early 19th century (check) competition from the railway network forces many of the canals to close and fall into disarray. In the last few years, with thanks to British Waterways Scotland and The Waterways Trust, Scotland's inland waterways have undergone a transformation that has given them a new lease of life. Local authorities, volunteer groups, private companies and others have helped develop a thriving leisure resource for local communities and visitors alike. Not only must this resource be maintained, but today the canals are also responding to wider agendas in leisure & tourism, health & community development, regeneration & economic opportunity environment and sustainability. Here at Hello we believe the canals are a vital asset for tourism and the local communities, especially in terms of the sports and leisure opportunities they present. On the 9th November 2011 – WTM World Responsible Tourism Day – 20 volunteers from Hello Scotland and their Going Green with Hello Suppliers will join large numbers of British Waterways Scotland volunteers at a special project near the Falkirk Wheel - a rotating boat lift that connects the Union Canal with the Forth & Clyde Canal. If you’d like to get involved please contact Lisa at lisa@helloscotland.com and she’ll give you more information. If you’re supporting the WTM World Responsible Tourism Day in any way we’d love to hear about it! Give Back Incentives…would you consider a give back activity in your next incentive trip to Scotland? The recent US trend for 'give back incentive programs' hasn’t quite grasped the UK market yet, but we think it’s on it’s way…so lets discuss how ‘give backs’ can be realized in Scotland. Give Back programs are elements of an incentive of corporate event where the participants are given the opportunity to literally give back to the community in which their incentive is taking place. You can easily see the links between this and sustainable tourism, but it’s not just about choosing a sustainable destination, it’s about interacting with it too. A couple of examples from the US include things like a pub quiz, with the points scored by all teams being turned into dollars on phone cards, which are then sent to serving US soldiers around the world to allow them to call home. Or, a competition to create a brand new team game, where the winning game is selected and the incentive participants then teach the game to a local school, providing them with the equipment to continue playing the new game! Why choose a give back as part of your incentive program? An incentive is a perfect opportunity to get employees together to give something back. It will unite the team for one common cause that’s not profit driven for the company, or self-driven for achievement, but a selfless act for others. 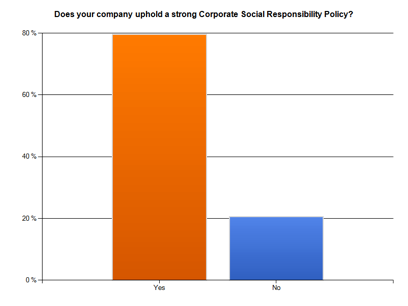 This creates an immediate bond, strengthening relationships and improving the ‘caring and responsible’ corporate image. Plus, they can be a lot of fun! How can this be realized in Scotland? This means there is a natural platform for progression into interactive and engaging ‘give back’ activities. In a recent survey Hello Scotland, we discovered that lots of hotels, venues, activity providers and transport providers across Scotland already do a massive amount of own giving back to their own communities through a host of charitable, sustainable operations and green activities. 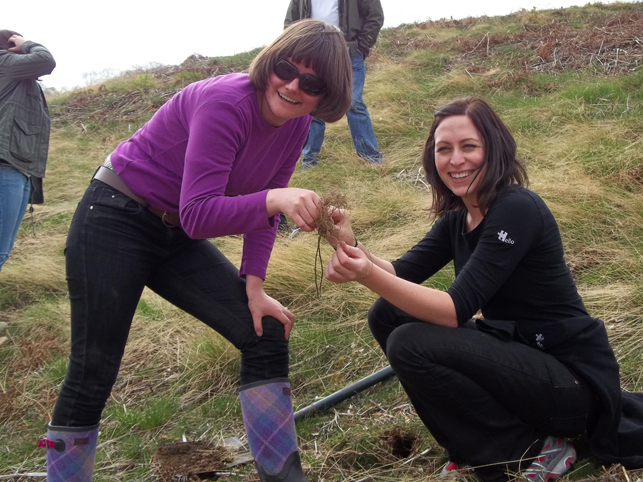 The connection to nature, landscapes and Scotland’s environment means the obvious choice would be to give back to the land, through activities like carbon neutral tree planting, conservation etc. It can be great to get down and dirty with nature, but what we also need to remember is that this incentive is a reward! Most probably for well-travelled individuals who are looking forward to a fun-filled luxury stay! But don’t worry, give backs can also be sophisticated! You can easily integrate them into your existing program, for example doing a challenge or activity for your own nominated corporate charity. What Give Backs have your groups done before? If you’ve had a group participate in a give back program, or if you’re interested in creating one for a Scotland incentive, please drop us a comment in the box below!